Beaver Dam- Rev. Wendell Romans, 90, passed away Friday, January 18, 2019, at Signature Health Care in Hartford. He was born in Butler County, KY son of the late W.U. and Jessie Gidcumb Romans. He was a member of Beaver Dam Baptist Church and the Masonic Lodge in Morgantown. He formerly served as Director of Home Mission Board, Director of Kentucky Sunrise Home For Children and Trustee of Campbellsville University. He was former pastor of Guptons Grove, Dunmor, Salem, Mt. Washington, Boones Creek, Mt. Vernon First Baptist, Fountain Run and Beech Grove Baptist Churches. He was preceded in death by his sisters; Naomi Clark, Mayme Applin, Beatrice Tuck, Alma Tarrance and Carlan Martin. Survivors include his wife Lena Romans; nieces Mona Rae Darnell, Ellen Kuprion, Vicki Holmes, Jackie Bevil; also niece and caregiver Tammy Goff; nephews Larry Tuck, Jimmy Tuck, Ray Goff and Mike Goff. 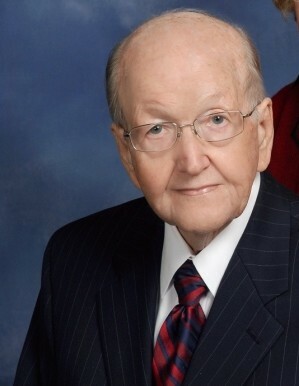 Funeral services will be 1:00 p.m. Tuesday, January 22, 2019, at Beaver Dam Baptist Church with Dr. Glenn Armstrong and Bro. John Cashion officiating. Burial will follow in Sunnyside Cemetery. Friends may visit with the family from 4-8 p.m. Monday and 9 a.m. until 11 a.m. Tuesday at Bevil Bros. Funeral Home in Beaver Dam. The family request that expressions of sympathy take the form of contributions to Morgantown First Baptist Church Bldg. Fund. Envelopes will be available at the funeral home.